Probably a decade ago, the migration started towards having a digital footprint of the businesses across the world. The world of technology is rapidly moving and compels the changes along with it. In a very similar way, in today’s exponentially expanding economy, businesses can’t just have online presence. The buyer expects to buy your products or services from this online presence, too. If you haven’t already, then, jumping into ecommerce waters won’t really be plain sailing. One must chew over an idea for some time before making final decisions. A question that most ecommerce entrepreneurs, often, face includes – Which platform should I use for starting my online store? There are indeed a lot many platforms you can start your ecommerce journey with. From all the other platforms, WooCommerce is simplest and the best way of launching your business online. Launched on 27th September, 2011 – this open-source ecommerce plugin has overshadowed many other e-commerce giants with over 4M+ active shops, it is now the most popular ecommerce platform in the world. That’s not enough, WooCommerce plugin page claims that WooCommerce now powers 30% of all online stores. Isn’t that interesting? There are indeed many reasons responsible for its so called overnight success. Simple yet Beautiful User Interface! WooCommerce and WordPress gives you appealing and engaging User Interface. Too often, the complexity of your store keeps revenues far away! Easier the user interface, better your customers will feel about your brand as a whole. WooCommerce can promise you smooth and luxurious user experience. You can make your store the way it looks in your imagination. Well, what’s better than that? WooCommerce gives you the freedom to customize your store which can stand out from others. If you are just starting your journey, there are so many WooCommerce development companies that can help you out in making the best out of your ecommerce store. It is highly flexible and one can integrate it easily to any website. You can customize your website and make it look like the way you want it to be with the help of largely diversified plugins and extensions available out there in the marketplace. Currently, there are 290+ extensions on woocommerce.com – and as if that was not enough, there are 1420+ plugins tagged WooCommerce on Envato which can help you customize your website the way you want it to be and stand out with class. Customization is the ultimate luxury. WordPress and WooCommerce are pretty easy to manage. But, there are always some doubts attached with the vulnerabilities and what not. Therefore, if you do not have the expertise in website maintenance, you can easily look for help. First, there are WordPress communities, to get free help - abundance of it. If not, and you seek professionals, hire WordPress developer or hire WooCommerce developer. 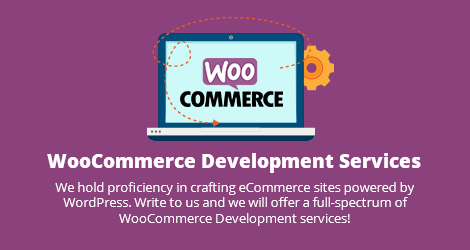 The WooCommerce development services are some of the most common services you might seek. 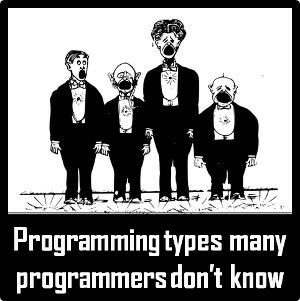 Therefore, you won't find it hard to hire a developer that can help you building your business. For example, on various bidding sites when you look for people with more than 100 hours of Volusion or BigCommerce experience in the last 6 months, the count of freelance developers available is 500. The same criteria for WooCommerce gives you more than 3,000+. Today, there are many giants offering WooCommerce development services. They can help you to build, market, and sell your product to the right audience, at the right time. It’s Really Simple & Substantially Stable! Simplicity and stability are keys to any incredibly successful business. WooCommerce, as compared to other ecommerce platforms is the most sustainable platform with least bugs and unbreachable security. Not only that. Amalgamation of simplicity and beauty is in such a way that end user finds it hard to differentiate whether it’s simple or beautiful. The reason being is, it’s both simple and beautiful! Is that it? Not at all. As easy it is to use WooCommerce, easier it is to develop a website based on WooCommerce. There are so many WooCommerce development company offering services which can help you take your e-store to a next level. When you get so many features under one roof, it is obvious that it should be quite hefty investment at the very initial level. Well, surprisingly, an indigestible truth about this plugin is that it’s absolutely free! WooCommerce is just like a ’smile’. It’s priceless and yet free! However, if you wish to go a level further and make your website look exactly like a beauteous summer evening – you can consider the thought of investing a little in hiring a WooCommerce development company that can help you to take your e-store a level beyond your imagination. WooCommerce can be a real turn-around for your ecommerce business if implemented in the right way. It’s gradually turning out to be a game-changer for many entrepreneurs. The best part of is, it gives you the freedom to customize, personalize, and enhance your user experience. WooCommerce website development is easy. And a website built on it is sustainably stable and easy to use. Why not become the next success story in ecommerce landscape using WooCommerce? We offer WooCommerce website development services and can help you in growing your business at a much faster rate.